VdB 115 (also catalogued as IC 4684, Ced 154b, DG 148, Bernes 8, LBN 34, Magakian 750) is a reflection nebula in the constellation Sagitarius. It is lit by the 10 mag. star HD 165872. 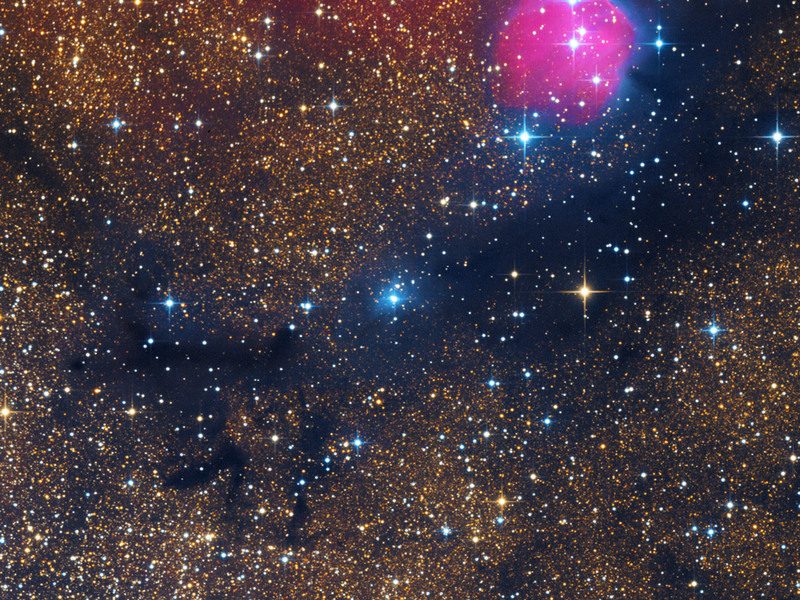 At the top of the image can be seen the nebula IC 1274. A much wider field, including M 8 (Lagoon Nebula), M 20 (Trifid Nebula) as well as many other objects can be found here.